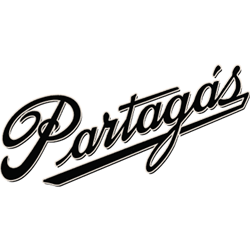 Partagás is a hand-rolled premium cigar brand that’s been a main stay on the market dating back to its roots in 1845 by founder Jamie Partagás. The Partagás premium cigars that we are familiar with today is based out of the Dominican Republic. Partagás cigars are handmade by highly skilled and specifically trained cigar rollers known as a Torcedos. The secret to these premium hand rolled cigars lies in their wrapper leaves, grown in Cameroon, together with binders and fillers from the Dominican and Mexican San Andreas, Partagás hand-rolled premium cigars produces a rich and robust smoke that is satisfying and smooth. Smokers Discounts online cigar store offers Partagás in a variety of premium cigar lines, Classic, Black Label, and the Heritage series. All are listed below and available at a low discount price. If you would like to sample these fine hand-rolled cigars, select the Partagás 6 Cigar Sampler Collection with Lighter. It’s a quick an easy way to discover the tradition and excellence that has always been Partagas Cigars.